Real UV Corp has developed special light bulbs and ballast to fit a selected market. Our special bulbs can replace current lighting systems and operate with a higher light output and better energy saving by using less voltage to produce the equal lighting by conventional means. 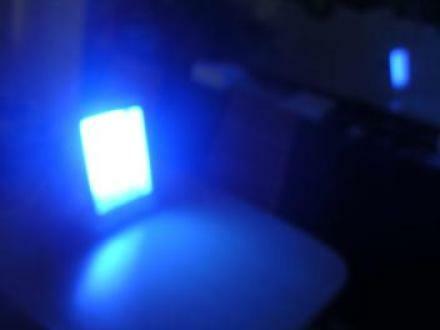 These Hybrids Florescent lights produce full spectrum (Simulated Daylight) light in pure White Light or Cool Blue/White light for a softer, easier on the eyes lighting. They come in several shapes like Square, Round, 4 tube, and patented Butterfly shapes. These shapes offer a variety of options for the manufactures and distributors for 2005 and 2006 product lines. Some application and uses for these Full Spectrum White lights and Blue/White light are: Outdoor lighting, Indoor lighting , Patio lighting and Aquariums. The Patented Butterfly, and 4 tube lights are especially tailored for SAD lighting and light therapy applications. Their High LUX output and full spectrum capabilities are enhanced by their compact size and easy installation into existing produces and developing product lines.